The growth of faith is the death of fear. THOUGHT FOR THE DAY: The growth of faith is the death of fear. It is a fact from our anchor Scripture that the strength of the devil is not in his power but in his devices, traps and wiles. The devil sets traps for people so he can proceed to destroy those his traps have caught. But the most important truth is that the devil is powerless because Jesus has said in Matthew Chapter 28, and in Verse 18… All power is given unto me in heaven and in earth. Now, one trap that the enemy uses to destroy the children of God is called FEAR. Fear is a magnet and an attraction of destruction. The devil introduces fear, and when fear matures, disaster and calamity arrive. Fear invites torments, and to surrender to fear is to surrender to torment (Job 23:25). I remember the case of a young lady who attended to her Aunty that was afflicted with cancer and watched how the aunty suffered until she passed away. This young lady remained in the fear of that affliction until the same cancer affliction came on her almost twenty years later, because the fear was not dealt with. Beloved, every time you begin to entertain fear, you are in a state of emergency. Deal with that fear! You must refuse for fear to thrive in your life. Do so by studying Scriptures and messages that kill fear and instil faith in you. The growth of faith is the death of fear. And faith cometh by hearing and hearing by the Word of God. REMEMBER THIS: The growth of faith is the death of fear. Feed your spirit with Christian fear-destroying messages and books that will kill fear and instil faith in you. Refuse to fear. PRAYER: O Lord, I ask that You impart me with the Spirit of faith. I reject every trace of fear hovering over my life, Lord in Jesus’ Name. TODAY IN HISTORY: 23/04/1990 – Namibia became the 160th member of the United Nations and the 50th member of the Commonwealth of Nations. 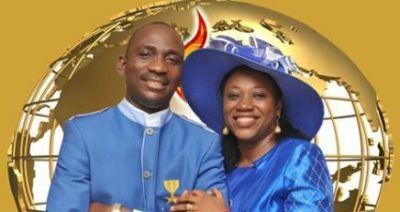 The post Seeds of Destiny 23 April 2019 Devotional — The Traps (Devices) Of The Enemy appeared first on Flatimes. Key Verse: “They that make them are like unto them; so is every one that trusteth in them” (Psalm 115:8). The subject of who or what people worship is an interesting one. Many that claim to be serving God place their interests, loyalty, confidence and trust on something or someone else. Even the so-called “freethinker” is a self-conceited, vain worshipper or self. The actual object or subject of worship may often elude the worshiper who may claim to be worshipping God but gives priorities to something else. Today’s passage critically exemplifies the dumbness of idol worship and the blessedness of worshipping the only true God. What constitutes an idol is simply any man-made or a man-concocted medium or target of reverence, attention, loyalty and obedience. It is where one’s attention is always centred and to whom any other consideration can be formed on. It has strong power over its adherents so much as to make them do contrary to God’s precepts. But every child of God is admonished to trust and worship the living God only. What do you worship today? The only true God or idols in disguise? Do you still bow to images, objects (of whatever form even in the church), some human personalities (dead or alive), an ungodly philosophy, fashion, etc? Many people are enslaved to some images that they worship and to whom they bow. Such images could be those of departed saints, or of angels, crucifix or other objects on the altar. Others can be heroes, monuments of historic significance, images representing deities of water, mountains or other natural elements. They could be abstractions like philosophical ideas that people have raised as ‘idols in their heart’. Let us painstakingly search and try our ways today to see if our hearts incline to obey anyone or anything contrary to God and His precepts. Thought For The Day: There is no other God than the Creator of heaven and earth. 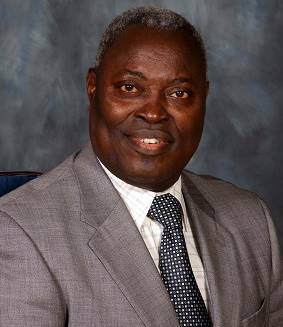 The post DCLM Daily Manna 23 April 2019 – What Do You Worship? appeared first on Flatimes. It is a great tragedy to note that the prince of this world is still at work in the heart of so many folks, even believers right inside the church. The powers that have been opposing the works of God since the beginning of time is still in vogue, even stronger in this end-times. Jannes and Jambres whose names were not mentioned in the Old Testament, were handed down in Jewish tradition as the names of Egyptian magicians who opposed Moses during the ten plagues against Egypt, (Exodus 7:11; 9:11). And up till now, these acts of ungodliness is still waxing stronger and stronger as enumerated in 2 Timothy 3:2-7. As the memory verse clearly indicates, it is the Christian-folk that no longer endure sound doctrine in these last days. When messages on salvation is preached, Believers are no more excited, it is then you notice sleepy congregation. But when it is about prosperity or dealing with witchcraft, there comes a sudden re-awakening and life among the believers in the church. Are you among the believers whose focus is only on mundane things rather than heavenly? You need a rethinking on this issue today. It is your responsibility to live above the evil and ungodliness that are prevalent in your generation. You must pray those evil practices out of your life and ensure that they do not have dominion over you. 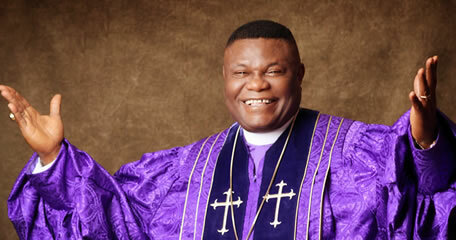 Perilous times and the evil of the last days shall not consume you, in Jesus’ name. MOTIVATIONAL QUOTE: BUT GODLINESS WITH CONTENTMENT IS GREAT GAIN. PROPHETIC WORD: You shall not be a candidate of hell. I refuse to be swept away by the storms of these last days, in the name of Jesus.Every ungodly act programmed to become an habit in my life, fade away by the fire of the Holy Ghost, in the name of Jesus.O God, arise and deliver me from every end time spirit, in the name of Jesus. EVENINGThou spirit of the world operating in the lives of men, loose your hold and die, in the name of Jesus.Power to operate with excellence spirit, fall upon me now, in the name of Jesus.I escape every end-time trap set for believers in Christ, in the name of Jesus. 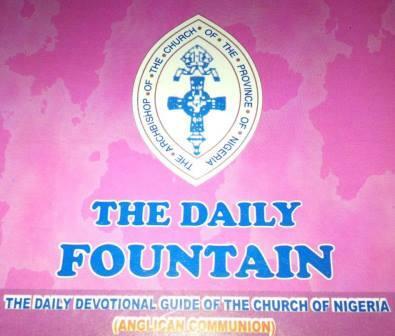 The post MFM Daily Devotional 23 April 2019 – Ungodliness and The Last Days appeared first on Flatimes. I see people who feel rejected. I see people who feel there is no way out and who have cancelled themselves out. There are people who are passing through ‘dry season’ in their lives and my heart reaches out to them. You see, if you have an understanding of your covenant, it will help you in every area of your Christian life. The Lord came to cut a covenant with man and to tell mankind that all hope is not lost. He came to tell mankind that He is a covenant keeping God. Therefore, whatever thing you have given up on or that you have already cancelled out, God is simply telling you that because of Jesus, it will be done. You may say, ‘Brother Mike, you don’t know what the doctors told me.’ Yes, they might have said what they saw which is a fact, but the fact is not the truth. You shall know the truth and the truth you know shall set you free. What is the truth? The truth is that you are in a covenant with God. And the covenant you have with Him cannot be violated or overruled. Child of God, don’t believe the lie of the devil. You may have failed God so many times, but that does not overrule the covenant. The post TREM Devotional 23 April 2019 – God’s Covenant With You Cannot Be Violated appeared first on Flatimes. Is it possible that Jesus, who was God manifest in the flesh, and therefore all-knowing, did not actually know who touched Him? Yes! Although Jesus’ spiritual man was divine, He took upon Himself a physical body with its limitations. Jesus drew on His divine ability through the gifts of the Holy Ghost, and so can we (Jn. 14:12; 1 Cor. 12:7). Before His resurrection, He operated as a man (sinless) by receiving from His Father through faith. Luke 8:47 says that the woman ‘saw that she was not hid.’ It is evident that Jesus received a word of knowledge from the Holy Spirit and had singled out this woman. However, this was after He felt the power of God flow out of Him and heal her. The woman was healed before He discerned her by the law of faith. The post Andrew Wommack Devotional 23 April 2019 – Making Faith Work appeared first on Flatimes. Justification has continued to generate debate among theologians. The message of God through Paul here is simple: everyone (circumcised Jews as well as uncircumcised Gentiles) is placed in a right relationship with God through faith in Jesus Christ alone. In other words, apart from faith in Jesus Christ, there is no other means of salvation for mankind (see John 14:6). Unfortunately, many, up till today, still believe that salvation should be achieved through efforts, because in their minds, insisting that salvation is through faith in Christ alone is tantamount to making salvation appear cheap. We must, however, remember that true salvation is not cheap: it was paid for by the death of Christ on the cross. Our responsibility, therefore, is to believe in and accept the sacrifice that Christ made for us to be saved. Good works do not save a man, but a saved man must naturally bring forth good works. So, good works is not the root of ones salvation, but the fruit of ones salvation. Therefore, a person who is saved by faith in Christ demonstrates that he or she is saved by being good and doing good works. Remember that the mark of a truly saved person is the fruit of the Holy Spirit, which include love, joy, peace, patience, kindness, goodness, faithfulness, gentleness, self-control (Galatians 5:22-23). Are you truly saved? Does your life show such evidence of salvation? Prayer: Lord, may my life bring forth the fruit of salvation today and always. The post Justified By Faith – Anglican Communion 23 April 2019 appeared first on Flatimes.